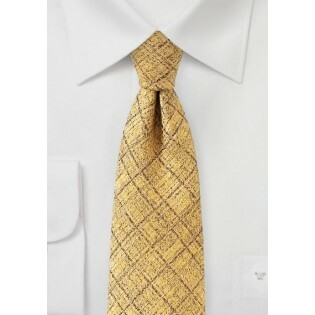 While we tried our best to capture the rich gold color and sparkle of this tie, the picture shown simply can't do this tie justice. 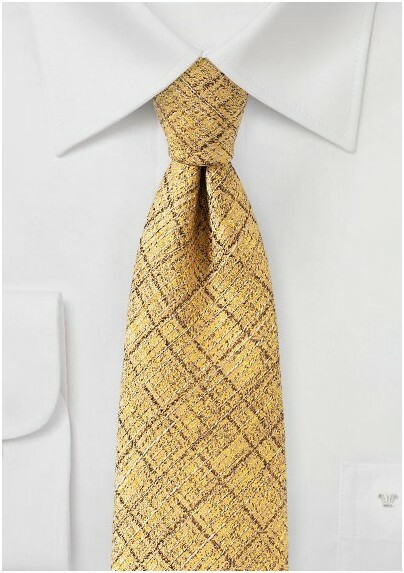 A magnificent tie in rich gold with textured check pattern that will transform any suit into a dashing, head-turning outfit. Give this tie a try and we guarantee that compliments will come your way no matter the occasion you decide to wear this tie to.